Gentle Readers All: Please see below to enter into the Giveaway for a copy of Susannah Fullerton’s Celebrating Pride and Prejudice. 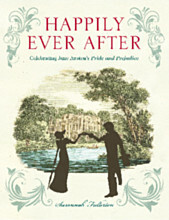 Today I welcome Susannah Fullerton, president of JASA, author of numerous articles on Jane Austen, a leader of literary tours , and author of Jane Austen and Crime (2006), A Dance with Jane Austen (2012), and most recently the author of Celebrating Pride and Prejudice: 200 Years of Jane Austen’s Masterpiece [Happily Ever After in the UK]. Susannah shares with us a few thoughts on the her new work and the joys of discovering and re-discovering Austen’s most popular novel – and out just in time as we all celebrate the 200th bicentenary of Pride and Prejudice this year, all beginning on January 28th. I highly recommend this book, a must-have for your Austen Library, a perfect companion to the novel, and a lovely work in its own right. I was about 11 years old when my mother first read me Pride and Prejudice. We were away on a family holiday in Christchurch, New Zealand, and the only thing I remember of the visit there was lying at the end of a double bed while my Mum read aloud. It was not all joy – I did get very frustrated when she stopped to laugh. I was too young to appreciate the irony of the novel and just wanted to know what would happen to Elizabeth and Darcy. Now of course I know exactly why my mother laughed. In spite of my mother’s ‘interruptions’, I loved the story, and soon went back to read it by myself. So for just over 40 years Pride and Prejudice has been a vital part of my life. That first reading has been followed by countless others. Sometimes I have just picked up the book and it has fallen open in just the right place (any place is the right place) and I’ve read of the Meryton Ball, or one of Darcy’s proposals, or a scene with Mr Collins making a fool of himself. Even a ‘one page reading’ has always left me feeling better. Again and again I have picked it up and started with that brilliant opening sentence (to which I devote a whole chapter in my book!) and gone through to the end, knowing exactly what would happen but loving it more every single time. And I have read ‘P & P’ in other ways – I adore unabridged audio versions, I’ve read it as a comic book, I’ve read it on my Kindle, and of course I’ve seen film versions and loved them too. Elizabeth and Darcy are my dear friends and while I would not want to actually meet Mr Collins, I always delight in his company within the pages of Jane Austen’s great novel. It has been said that you never read the same book twice! Every re-reading is a different experience – you know what is going to happen within the plot and so you look out for other things. And with ‘P & P’ there are always other things – some slight nuance you missed last time you read it, a different inflection by an audio book reader can make you react to a sentence you know well in a different way, and you pick up on the tiny details of setting or character that you failed to notice last time. And the other thing that means you are not reading exactly the same novel, is that you yourself have changed. You have grown older and wiser, experienced things in your own life that have slightly altered you from the person you were on the first reading. 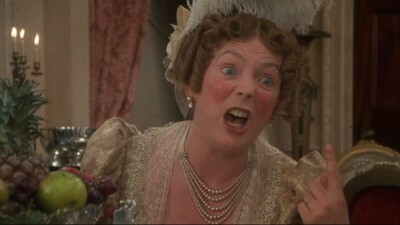 I groaned over Mrs Bennet when I first met her – she was so vulgar and embarrassing and I pitied Elizabeth for having to put up with her. But now I’m a mother myself, with children who are forming romantic partnerships, and I have so much more sympathy for Mrs Bennet. And as a wife, I can understand her frustration when Mr Bennet goes off to the library and shuts the door, leaving the worries of 5 unmarried daughters totally up to her. Reading Pride and Prejudice changes your life, but your life also changes each re-reading of Pride and Prejudice. With such a deep love of this novel, you can imagine what a joy it was for me to sit down and write a book about its incredible 200 years. I could not think of a nicer way to celebrate this important literary anniversary. For months I was immersed in its pages, learning even more about the book and its characters as I worked on my own book. I was so fascinated by the translations of it – how very quickly it was translated into another language and what a mess was made of that first translation, and what huge challenges it gives a translator (do you think Mr and Mrs Bennet should say ‘vous’ or ‘tu’ to each other in a French translation – I’d love to hear your opinion?). I especially loved writing my chapter on Elizabeth, trying to analyse what it is that makes her so charming and lovable, while not making her a ‘goody-goody’ in whom we can’t believe. I had lots of fun with my chapter on all the merchandise inspired by this novel – don’t you just love the idea of a BBQ apron that announces ‘Let’s BBQ Wickham!’ And I was fascinated by the responses to ‘P & P’ over 200 years from famous people. A.A. Milne quite rightly judged people by their reactions to this book, while Robert Louis Stevenson wanted to go down on his knees and worship Elizabeth Bennet whenever she opened her mouth. My book is very gorgeously illustrated and has pictures that may be unfamiliar to many. It is available in two editions – the American edition is Celebrating Pride and Prejudice: 200 Years of Jane Austen’s Masterpiece and the UK edition is Happily Ever After: Celebrating Jane Austen’s Pride and Prejudice. I do hope my book gives pleasure to those of you who read it, and also teaches you new things about this much-loved novel. HAPPY PRIDE AND PREJUDICE ANNIVERSARY YEAR! Susannah Fullerton is President of JASA, and author of Jane Austen – Antipodean Views, Jane Austen and Crime, A Dance with Jane Austen, and her latest Celebrating Pride and Prejudice: 200 Years of Jane Austen’s Masterpiece – note that the UK title of this work is Happily Ever After: Celebrating Jane Austen’s Pride and Prejudice (Frances Lincoln, 2012). 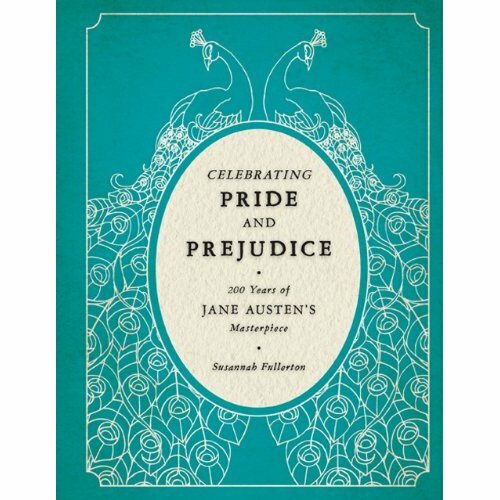 Please enter into the drawing for a copy of Celebrating Pride and Prejudice by commenting below: either by asking Susannah a question or telling us of your first experience in reading Pride and Prejudice [or like Susannah, perhaps being read to?]. Deadline is Tuesday January 29, 2013 11:59 pm; winner will be announced on Wednesday January 30th. Worldwide eligibility. Good luck all, and thank you to the publisher for donating the book for the giveaway [please note that I happily purchased my own copy]. This entry was posted in Austen Literary History & Criticism, Author Interviews, Book reviews, Jane Austen, Jane Austen Popular Culture, Jane Austen Societies, Regency England, Your Austen Library and tagged Book Giveaway, Celebrating Pride and Prejudice, Jane Austen, JASA, Pride and Prejudice, Susannah Fullerton. Bookmark the permalink. Jane Austin has spanned our family for three generations (that I know of). My mum passed her down to me, and now I am passing her down to my daughter! My daughter especially likes the teas In thr Jane Austin society! Although I teach Pride and Prejudice every year, I never grow tired of discovering some unknown nuance, and I always enjoy the faces of my students as they fall in love. The classes celebrate Austen by preparing and dressing for high tea. Hopefully, my love of Austen will continue to inspire students to read more and more. I was an avid reader from the moment that letters formed words for me, but I didn’t have to read Austen in high school–or in college. I picked up Pride and Prejudice while living in London, England, where my husband was a Fulbright Scholar. From then on I was hooked, reading the rest of Austen’s books, and seeing all of the films based on her books. I’ve read books based on her characters, and various biographies on Austen and, still, over 40 years later, can’t get enough Austen. A question for Susannah. If you could change a scene in Pride and Prejudice, what would it be and why? Actually my first experience with P&P ever was watching last 5 minutes of episode 4 in mini series of 1995 when I was 13 or 14. Those 5 minutes intrigued me so much, that I watched all the remaining episodes and then went in search for the original. I remember reading it the same year during my summer vacation. I loved everything about the book, its plot and style, its heros and heroines, and since that time P&P has become the best love story for me: witty, humorous, illustrative of different human characters, satisfying and with wonderful happy end. After P&P I read other works by Jane Austen, and some of them I liked, some of them I liked very much, but P&P was and still remains the best for me. I can’t remember the very first time I read PRIDE AND PREJUDICE. It’s been a very long time. What I do know is that I appreciate it more with each reading. I also can’t remember when I read P&P for the first time. I must have been in my early teens and it was an Italian translation. Maybe it didn’t make a great impression on me then. I reread it later and read also the other Austen novels and liked them very much. I have just reread P&P to celebrate this bicentenary and am really enjoying all the attention it is currently receiving. I will definitely read Celebrating Pride & Prejudice! First time? Well, I was 15, I think, when my mother gave P&P to me for a second time — I had tried it once at 12, was too young, and left it unfinished. But this time, I read it through, loved it and then gulped down the additional five — all in one insatiable summer treat. Couldn’t get enough Jane so I read P&P a SECOND time that magical summer. But it was the THIRD reading —in college at age 17— that was truly a revelation: It was as if I were reading an entirely new and wonderful novel. That’s because I was two year older, brought more to the reading, and saw nuances and wit and wonder that I had missed the first time. It was also because Jan Ferrers Weeks (later Thaddeus) was my guide through the novel this time in freshman English at Barnard. I suspected —accurately, it turned out— that I could read it again and again with pleasure — and shall again this celebratory year. Oh I would love to win a copy of this book – I just saw notice of it on Amazon yesterday and HAVE to have it. I adore Jane … all things Jane. Pride and Prejudice is well, tops! I design needlework inspired by Miss Austen’s novels. Never can get enough out of such few books!! I actually put a free pattern on the blog today to also mark the 200th Anniversary of this wonderful novel, P&P. If you do needlework, please do stop by and print a copy of it for your stitching basket. Hello Tanya, I am just getting to respond to this – your sampler is lovely! – I have posted about it on twitter and facebook. Please let me know when you post on your next P&P sampler next week. I also can’t remember the first time I read P&P. I do remember the first time I read it critically (as literature, not strictly entertainment) – in a class on the English Novel in college. My professor considered Jane the greatest of English novelists, with which I heartily agree. I would love to have a copy of this book! first lines. I agree with her and know that it is certainly MY favorite first line. I will be happily reading your book soon, I hope. It sounds fantastic. It has been fascinating to read about the first reading of P & P for other people. We are all so lucky to have had our lives enriched by this book. Gongjumonica asked me if there was any scene I would change. The answer is NO, I do not want to change any scene at all. I adore it just as it is.Does anyone else think any scene should be changed? I do hope that whoever wins my book loves reading it. I first read P&P in 8th grade… I remember desperately wanting to be a Bennet – crazy family and all. I agree with Felicia – Mr. Darcy didn’t catch on until I was a little older :). It was the summer I turned 16. I was at a low ebb, for various reasons: the usual too homely/too bright teenager angst, plus serious family dysfunction (frankly, the Bennets looked pretty good to me at that point). In addition, I’d just read Eugene O’Neill’s Long Day’s Journey into Night because someone thought I should, and I felt about the way anyone feels after reading that one. So I happened to pick up the battered old Everyman P&P that had belonged to my step-grandfather (bless you, Grandpa Bill, for throwing me a lifeline!). I was instantly hooked. I remember thinking before I finished the first chapter, “Jeez, I didn’t know it was OK to be funny in the early 19th century,” and I finished the book before bed that night–not just to find out whether Elizabeth and Darcy finally got together, but because I was completely drawn in and along by the language. And I still am, after too many readings to count. I fell in love with Austen when I was a young girl. I have found that as I got older and understood more about love and life I now fully appreciate what a great writer she was. My mum introduced it to me when I was 12. She borrowed an abridged edition and having nothing else to do because school’s over and it was the holidays, I decided to read it. I’m joining the P&P 200th Anniversary blog hop party organised by Alyssa Goodnight so stop by on my blog to read my experience on Monday. I’ll also be giving away a copy of an Austenesque novel. Hope to see you there. I came to Jane Austen late in life–I was in my early thirties when I started enjoying her movies–Emma was my first! !–and then my mid thirties when I started to read her books. Pride and Prejudice was the first book I read, which I got out of the library, and I was so surprised how easy it was to read! No memories of hard assignments by my 9th grade English teacher here!! I think that if I had met Jane earlier in life and understood her gentle sisterly advice, I could have avoided a lot of heartache. She is a truth teller even 200 years later!! Fingers crossed and Huzzah! for the publication of Ms. Fullerton’s book! I first read p&p as a kids version when I was about 10 or so and fell in love! I read the real version not long after… And it has been y favorite book ever since! I just struck a chord with me and is the one book I can read over and over again! I first read P&P at thirteen and now, 47 years later, I can’t even tell you the ‘total count’ of readings. The book has enriched me in more ways that I can count — perhaps the most rewarding being the numerous and cherished friendships I have been blessed to make from among her fans. This resonated with me because I have of late contemplated that character and decided that the fact of her (overriding) concern to get her daughters married is what redeems her character in the main. Good fortune with your book — I am very much looking forward to celebrating our favorite author with it!!! 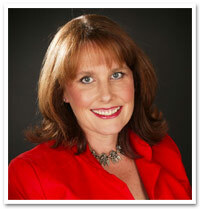 Thank you Susannah for sharing in such a delightful way, your beginning into Jane’s World. My own son, now 15, for this anniversary gave the film version another chance and loved it. We now have Jane’s Pride and Prejudice moments to share and laugh together about. Hopefully, his reading it will follow. The door is now open. I love P&P! I remember the first time I watched the 1995 version of the movie I did not realize that it was a 5 hour movie and I would up watching it until around 3 in the morning because I had to find out how the story ended. After that I was hooked. I have seen several versions and even introduced my British Literature Student teacher to the 2003 version “Pride and Prejudice: A latter-day comedy” when I was in High School. I also read the book in 2008 shortly after having seen the movie to see what had been left out and was happy to discover that the 1995 version had been far more true to the book than most movies are.